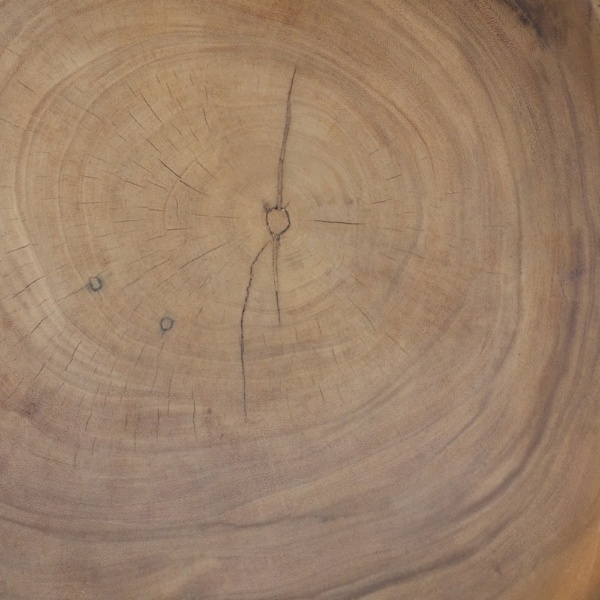 Bring an organic and rustic vibe to your indoor or outdoor living space with these stunning coffee tables. 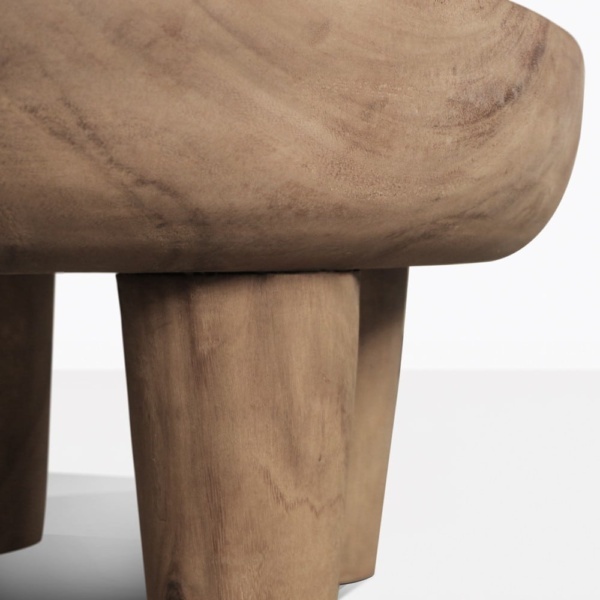 They are inspired by African Milk Stools and each one is one-of-a-kind. They have been carved from thick teak trees and beautifully smoothed out. 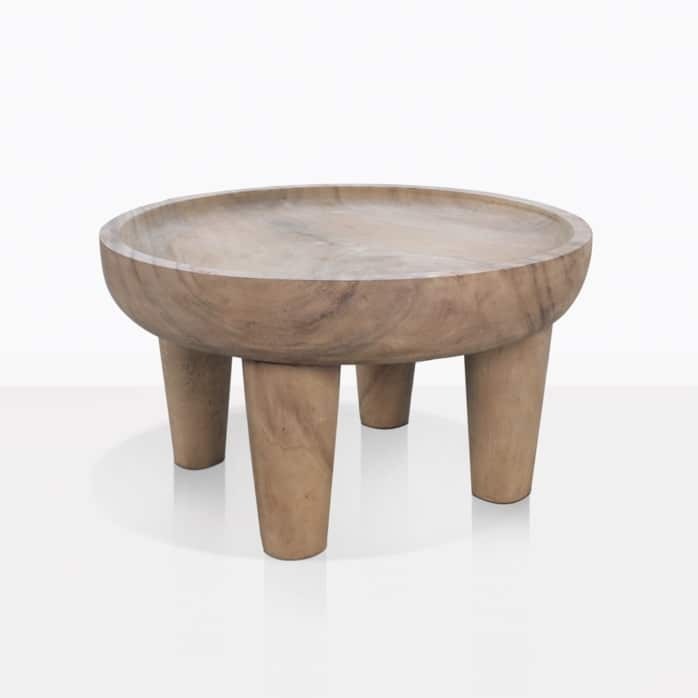 The tabletop is one solid piece of teak and the tapered legs are expertly attached. These have a good solid weight that is definitely not flimsy. Because they are left raw you can see the grains of the wood, and each little imperfection makes it all the more stunning. Please note that because these are made to be organic and unique, each one will vary slightly in size and thickness, and this makes each one special and truly gorgeous. Visit our showroom in Parnell or call us today to order your African Safari Coffee Table!